﻿ Pillows Hotel Cebu (Philippines) | FROM $25 - SAVE ON AGODA! "Hot showers, Wifi, Breakfast, Comfortable beds." 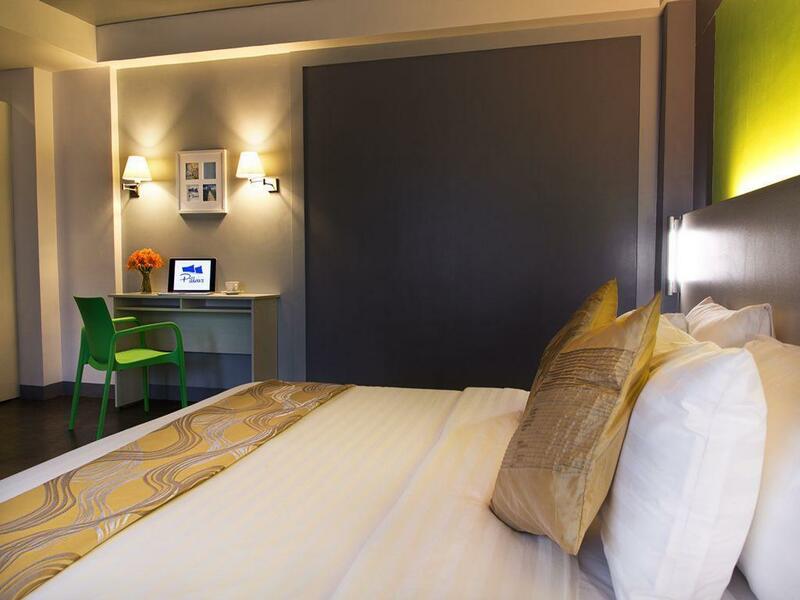 Have a question for Pillows Hotel Cebu? "Loved the location and room." "Nice place, in the center, easy to get taxi"
"Very clean, food was good and staff are very accomodating." "This hotel is ran very well and efficiently." 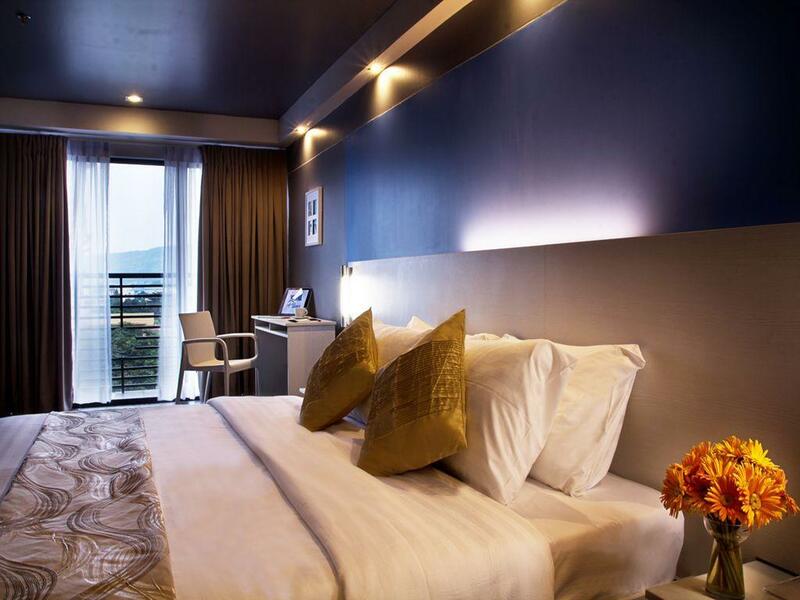 If what you're looking for is a conveniently located hotel in Cebu, look no further than Pillows Hotel Cebu. The hotel is not too far from the city center: just 13.1 km away, and it normally takes about 21 minutes to reach the airport. With its convenient location, the hotel offers easy access to the city's must-see destinations. 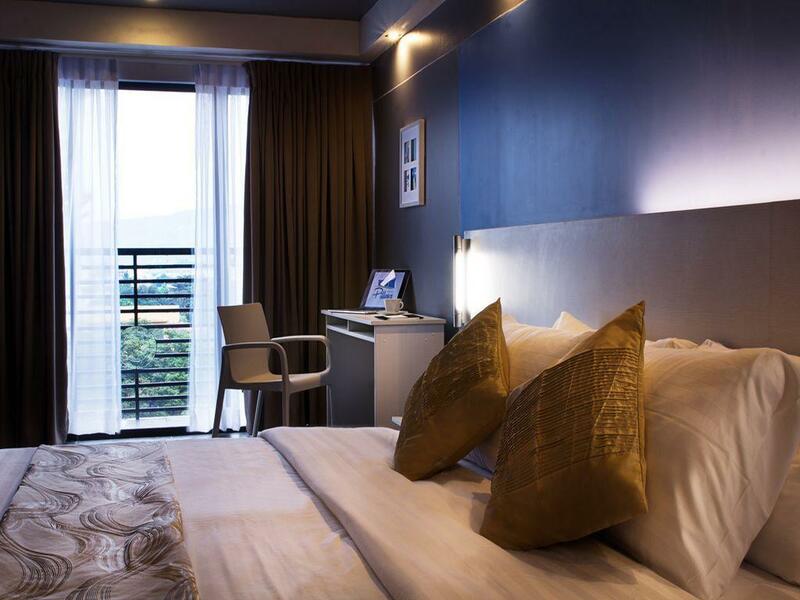 At Pillows Hotel Cebu, every effort is made to make guests feel comfortable. To do so, the hotel provides the best in services and amenities. This hotel offers numerous on-site facilities to satisfy even the most discerning guest. In addition, all guestrooms feature a variety of comforts. Many rooms even provide television LCD/plasma screen, internet access – wireless, internet access – wireless (complimentary), non smoking rooms, air conditioning to please the most discerning guest. The hotel offers fantastic facilities, including fitness center, to help you unwind after an action-packed day in the city. 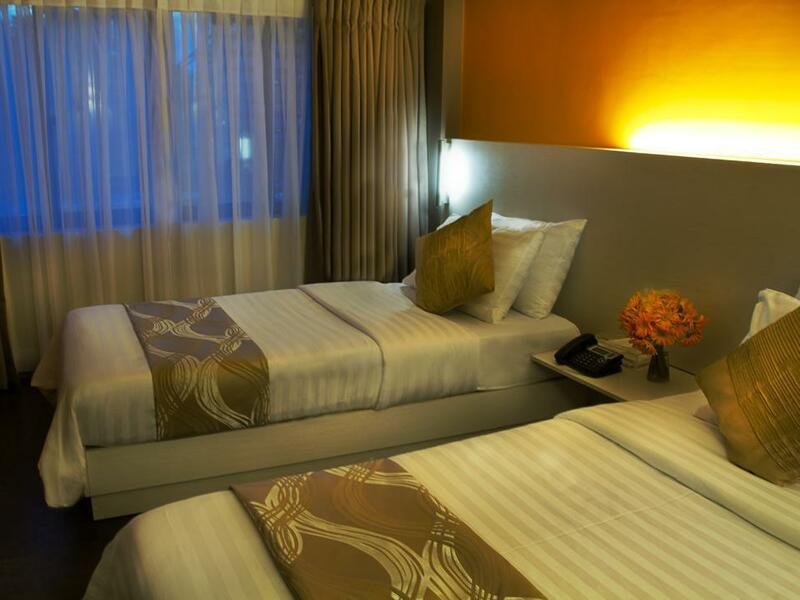 Pillows Hotel Cebu is an ideal place of stay for travelers seeking charm, comfort and convenience in Cebu. "Room has reliable internet connection"
We stay here for the day/night we flew out. We were familiar with the as we stayed at horizon 101 2 weeks prior. Near Robinson where you can get all types of food. Hotel has a restaurant and staff was attentive and polite. Definitely will stay here again when I’m Cebu City. We have stayed in Pillows 4 times in the last year whilst travelling around the Philippines. We have enjoyed each stay. The rooms are clean and everything works fine. Good selection of TV channels. Good breakfast and pleasant and efficient Staff in all areas. Rooms are not equipped with mini fridge or kettle for tea/ coffee but no problem for us. For what we paid I thought it was excellent value. Location is near Osmena Fuente Circle, lots of shops and restaurants. If you are travelling from or to the airport or ferry port it can take over an hour by taxi as traffic is busy and slow. Would recommend Pillows! We love Pillows hotel!! Good location, near shops and restaurants etc. The Staff are polite and professional. The breakfast is yummy. Room is clean and functional. Good selection of TV channels. No fridge but not a deal breaker. Staying there again in 2 days time when we return to Cebu. That says it all really!!! Good location. Great value for money. Room is spacious and staff were accommodating. Kinda disappointed that our bed wasn't a matrimonial type but they were still able to join the single bed for our convenience. So kudos to the staff. Enjoyed our stay here. our room upgraded for free thank you! I had a pleasant stay for two nights. Check in was swift, the reception staff were helpful. The room was spacious & had a writing desk with lamps which were exactly what I needed. Although it's not along the main road, it was easy enough to get a taxi because there is usually one on stand by within the vicinity. It's a short walk to the Fuente Circle, near several fastfood restaurants, including a Shamrock branch to buy pasalubong, and a Robinson's mall. Even for a solo guest, they give breakfast good for two people so you can choose another breakfast menu for take out. They even provide early breakfast in the form of sandwiches if you will be leaving before the regular breakfast time. Would like to suggest rubber mat in the shower room, though, because the floor can be slippery. Will likely stay here again the next time I visit Cebu. It's quite far from the business center and the big malls but there are a lot of jeepneys and taxi cabs to take you there. Pros: - SUPER SPACIOUS ROOM AND BATHROOM! -convenient location, a five to ten minutes walk to osmeña circle where you can find most stores. -free toiletries: shampoo, dental kit & soap - true to their name, their pillows are really soft and comfy. - with complimentary (2) water bottles. - front desk ladies are very helpful with inquiries. - no cockroaches found! Hahahaha - clean bathroom with tissue and bidet!!!! - hot and cold water works well! - with elevator Cons: - Have to pay for a hair dryer. It is 100 pesos per day! I asked for one before check out so i can dry my hair but was shocked when the lady told me that it isnt for free and 100pesos is not worth it for a 10-20minutes blow dry. - Requested for a QUEEN BED. but instead what we got is just two single beds pushed together and covered with a queen sized bed sheet. You can feel the middle part where the two beds meet so during your sleep it is uncomfortable. Tried requesting for another room but the front desk said they are fully booked for the day and no other rooms are available. -the outside of the hotel is a bit sketchy since not a lot of people walk the area at night. -they have yellow lights on the entry way and bedframe, and two white lights on each side of the bed (one is busted), I do hope they put a white light instead of yellow infront of the mirror so you could aee clearer. -took 15minutes to get the room cold, aircon was kinda noisy during the first two hours. -NOT soundproof. You can hear people walking outside your room, music playing within the range outside of your room door. -WiFi is super slow. Apart from the payment, you need to leave a security deposit of PhP 1,000. You can have it back upon check-out if they don't find any damage in your room. Overall, a good stay for a cheap price :) Tip: eat outside, there are lots of choices. Room is very clean and spacious. Staff is accommodating and courteous. Location is excellent. The staff is accommodating. Breakfast buffet is good. Room is big, I stayed in superior room no fridge and electric kettle when I request electric kettle they said they charge 150 pesos per night which is I think it’s expensive. One of problem also is the internet connection it’s so weak. But the location is very good it’s walking distance to fast food and convenient stores easily to access taxi or public transport . This hotel is ran very well and efficiently. The building is close to shops, bars and restaurants. But its in a quiet street, so you won't be disturbed. Breakfast is cooked to order and presented beautifully. All the staff are friendly and helpful. I've stayed here 3 or 4 times now and I'll continue to stay here when I visit Cebu. We were supposed to have a standard room as we need to do early check-in. Apparently, there was no room available when we arrived around 7AM. We had to wait until past 12NN (thanks Miss Universe!) and did not-so-early check in and upgraded our room to twin bed at no extra cost! Thanks to the front staff at that time! Breakfast was great and Jessie (staff at cafe) is one of the most courteous staff there. Kudos to you! very nice hotel near the middle circle, easy to navigate to the bus station, market, magellan cross , robinsons, etc. Only one night in cebu city after a long flight. the staff were excellent and arranged car hire to moalboal. I have stayed here many times as location is great, good breakfast and friendly staff.. But this time my partner arrived to check in before me due to flight delay, which I had explained on booking the room two months before arrival, and was not aloud to check in until I emailed them a copy of my passport even thou I was not in the country. Also room booked was city view and was given a room with window but just a wall of the lift to look at. We where given different room on request but told agoda room description was wrong. Hotel is some 5-min walk away from Fuente-circle and nearby Malls and restaurants. Lots of taxis pass by in front of the hotel. With regards to the room, I find the aircon a bit old and difficult to adjust, can't find the perfect room temperature, also, the room is a bit dark, not enough lighting. Beds are clean and comfy though. Overall, nice experience. Could have given a higher rating but that incident with a worn out towel i brought with us to our island hopping made my day. The receptionist Airenne or whatever her name is rudely insisted that i pay 500 pesos for the worn out towel because they said i stained it. I argued it could be washed out with bleach to no avail. Then they accused me of taking a towel out of the room prompting me to take out all the stuffs in my bag to show its not there. They want to charge me 500 pesos for the missing towel as well. This made me very angry so i demanded to talk to their manager. So much has transpired but i do not want to elaborate. Sadly I felt like they are using these worn out towels to shortchange their guests. Try other hotels and avoid this one. Each entrance was greeted with a smile and a warm welcome. All of my questions regarding sites to visit were answered through personal experience. I was treated professionally but felt as tho I was a friend. I will return to Cebu and I will stay at Pillows. The pillows are so soft, staff speak good English. I booked my room with a discounted rate so it's cheap. Nearby there are lots of restaurants and night clubs to check.